The beautiful yet small town of Bomdilla is on the way Bhalukpong to Tawang. 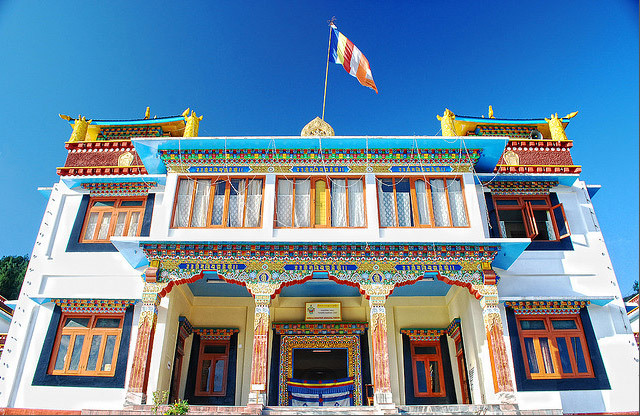 Hardly 100 kms from Bhalukpong Bomdilla is famous for its wooded road to Tawang and its&apos; monasteries. The proximity of to Tibet has influenced the Buddhism of this place. The Monasteries reflect the culture and the origin of the people of this place. The monasteries here have private residential areas for the Dalai Lama which can be visited if requested. The roof top offers a splendid view of the mountains and the valleys those lie beneath. The larger Buddhist monastery has a huge statue of the Blue medicinal Buddha, which the devotees focus their meditation on. On the way to Tawang the passage through Sela pass and the Dirang valley are an experience never to be missed. The district of West Kameng is surrounded by East kameng in the east and Tawang in the North west. It shares its borders with two countries like the China (Tibet) in the north and Burma in the west. The southern borders are share with the state of Assam. Due to this variety Bomdila has an influnec of many and has hence has a blend of various cultures.